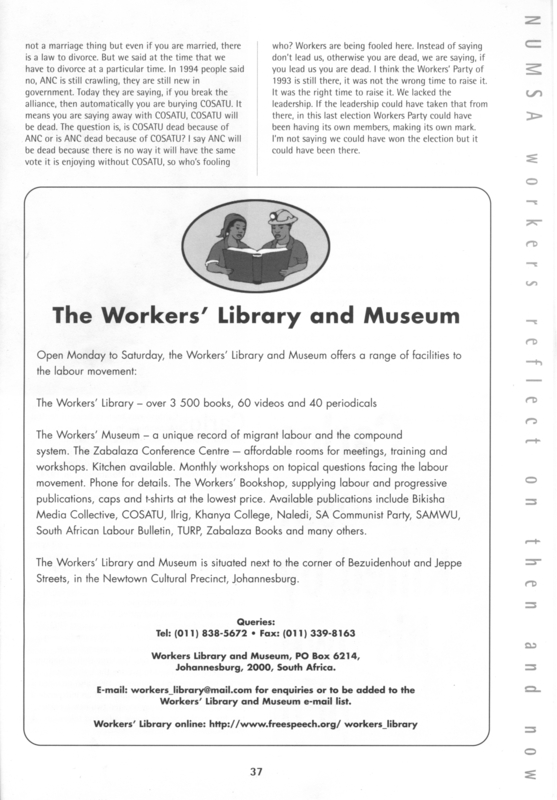 The advert below, for the Workers Library and Musem (WLM), mentions its Workers’ Bookshop carrying anarchist/ syndicalist materials from Bikisha Media Collective (BMC) and Zabalaza Books. 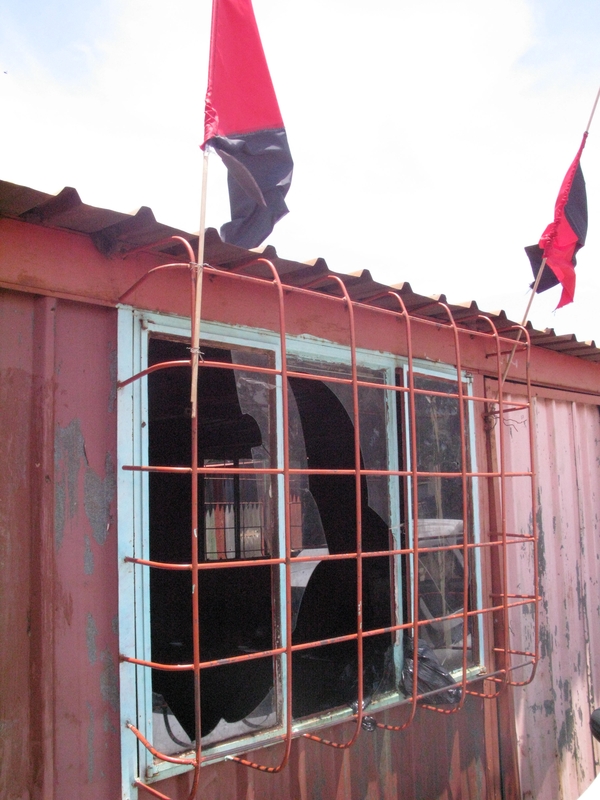 The WLM was a non-sectarian labour support organisation, based in downtown Johannesburg, in which some anarchists from the Workers Solidarity Federation (WSF), then Bikisha participated 1998-2002. Records indicate sales of BMC and Zabalaza Books materials were brisk. The Workers’ Bookshop carried a wide range of left and labour materials, and was probably the only shop of its sort in South Africa at the time. The WLM was effectively closed and absorbed into Khanya College, with which it had partnered from around 1999, in the mid-2000s. The WLM was used by a range of groups as a meeting space, including the Anti-Privatisation Forum, WSF, and later the BMC, which also ran several Red and Black Forums there. More on BMC at the WLM here. SOURCE for advert: South African Labour Bulletin, volume 24, number 3, June 2000, page 34. Click on image for a PDF version. At the invitation of Soweto Concerned Residents, an Anti-Privatisation Forum affiliate and split from the Trotskyists-influenced Soweto Electricity Crisis Committee, members of the ZACF will be facilitating an all-day workshop in Meadowlands, Soweto. The topic of the RBF will be Community Control of the Poor Community, as decided by members of the SCR (in concert with their organisation) who attended the ZACF’s last RBF, in Protea South, Soweto in March. This was a notice for a 2009 Red & Black Forum run for the Orange Farm Electricity and Water Crisis Committee. Orange Farm is a giant squatter camp south of Soweto. The workshop was extended by popular demand to 2 days. Red & Black Forum: Does the Vote Bring Democracy? The ZACF will be facilitating a Red & Black Forum (anarchist communist educational workshop) with the theme “Does the Vote Bring Democracy?” this Saturday in Orange Farm, south of Johannesburg. The RBF will be hosted by the Anti-Privatisation Forum affiliated Orange Farm Electricity and Water Crisis Committee. * What are people’s understandings of democracy, both pre- and post-1994? * What do people understand by political parties and their role? * What is the structure of political parties, and why do they resemble the class pyramidal structure? * Where do people locate themselves and various political leaders on the class pyramid? * What are the functions of the different classes? * If voting replicates the top-down organisational models of political parties and capital, what alternative models of organising can be used to bring about real democracy and equality? On Saturday 12th September the Zabalaza Anarchist Communist Front (ZACF) facilitated a Red and Black Forum – or popular education workshop – at a hall in the Sebokeng Municipal Hostel in Sebokeng township, about 50 kilometers south of Johannesburg. 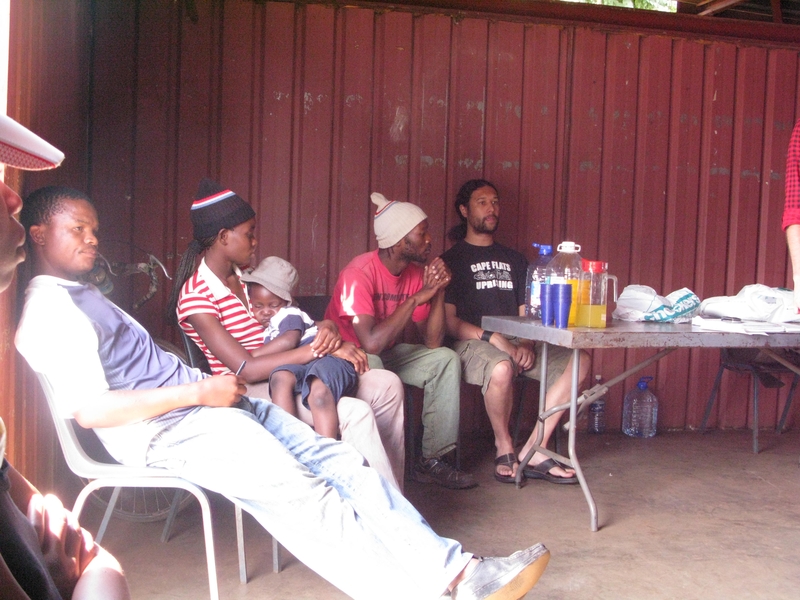 The theme of the workshop was on the global economic crisis, covering a range of topics from a basic introduction to capitalism and neoliberalism and the causes of the crisis to an introduction to anarchist principles; from ideas for turning the day-to-day struggle for survival into a revolutionary mass movement to a basic outline of how a libertarian communist economy might function. The RBF was attended by about a dozen activists from the Anti-Privatisation Forum-affiliated Working Class Crisis Committee (WCCC), three activists from the Landless Peoples’ Movement (LPM) and even a dissident Young Communist League (YCL) member. Attendees comprised mostly unemployed activists of all ages and an even gender balance. Unfortunately there was confusion regarding the catering and at least one woman ended up going home to prepare lunch. There was a high level of participation in the discussions, which were translated into isiZulu, and attendees agreed that the residents of Sebokeng were suffering from a lack of information and agreed that they would benefit from further workshops. 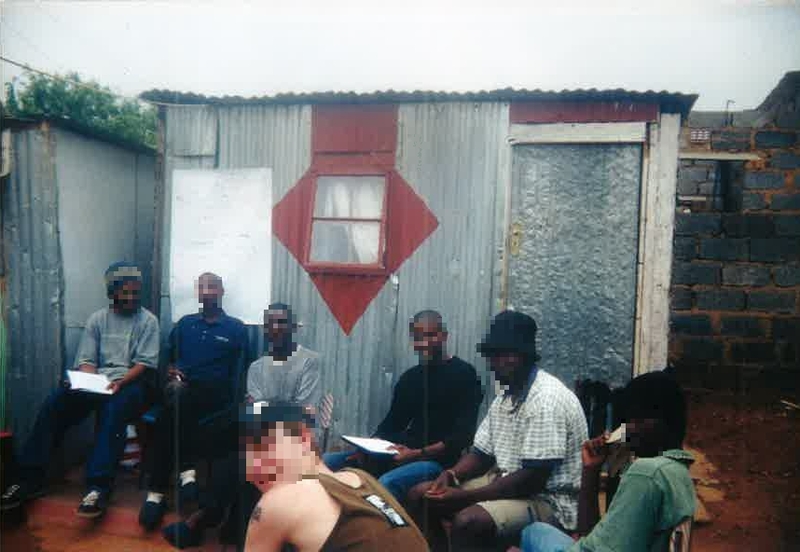 ZACF members and allied libertarian socialists from our Soweto-based study circle established good contacts, particularly with a youth group associated with the WCCC, and endeavored to maintain contact in order to organise future workshops and documentary screenings, and possibly establish a second study circle, this time based in Sebokeng. Fourth of four posters produced in the Johannesburg-based Red and Black Forums for marches and meetings. The RBFs were an initiative to introduce activists to anarchist ideas.